Founded in 1976, Lifescape has provided landscape design, project construction and ongoing property care for custom residential and commercial projects. Our company is set apart by our obsessive attention to detail from creative designs to craftsman construction. Through early planning and working with strategic industry partners, our design-build process saves time and money, both during construction and in the future. Our landscape architects and designers work directly with our construction team to ensure the design intent is achieved during the installation and ensure that future property care requirements are considered. To ensure the garden thrives after construction, Lifescape provides landscape property care services that are customized to fit the needs of projects both big and small. We are here to protect your investment with our expert staff of horticulturalists and technicians. 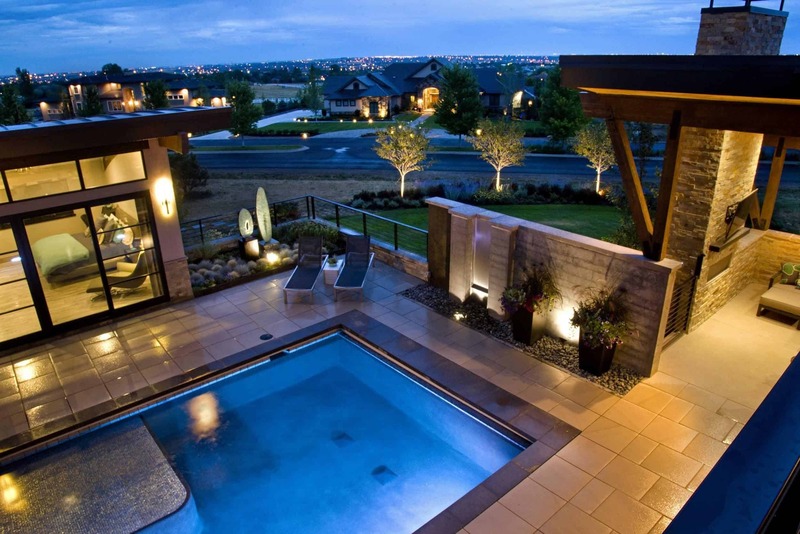 As a pioneer in the Colorado landscape industry for over 40 years, our landscape architects and designers take pride in developing unique designs to fit the style of the client and property. Since its inception, Lifescape has been recognized by industry peers locally and nationally earning over 50 awards for numerous projects. Lifescape is recognized as an industry leader in sustainability, consistently on the forefront of water saving, green construction and property care practices. Sustainability is more than a thoughtfully designed and installed, it is an ongoing horticultural process. Trees, shrubs and turf improve air quality, protect water quality, reduce heat buildup, reduce soil erosion and increase water retention. Lifescape is proud to be an innovator as a Sustainable Landscape Charter Partner with the Associated Landscape Contractors of Colorado and we utilize WaterSense irrigation systems certified to be the highest in water savings from the EPA. Having landscape designers and architects on staff, in collaboration with our operations team, increase the efficiency of our projects. Through early planning and working with strategic industry partners, our design-build process saves time and money, both during construction and in the future. To ensure successful implementation of the design at the most efficient cost to the client, we will perform significant upfront planning with all project partners and will provide continual design and budget feedback during construction. We pride ourselves on being landscape investment advisors and will bring cost-saving ideas that won’t sacrifice the original design intent. “Over the past year I have had the pleasure of personally working with Lifescape & Associates. I first became acquainted with the owner, Michael Hupf, through an interior design function we both attended. I knew from meeting Michael I had found the company who could help me execute the landscaping for my home. Tonya was assigned to my project and turned my ideas into detailed drawings and work orders. She worked endlessly to help me make my vision a reality. The entire team were on task every step of the way. Their follow through with “issues” that come up with any landscape project has been phenomenal. I should also mention that I had a very important deadline to meet…a bridal shower for my daughter! The deadline was met and the outcome beyond my wildest expectations. I want to assure anyone who hires Lifescape & Associates that you are in good hands and are dealing with one of the best companies you could hope to do business with. I recommend them to all of my interior design clients.” Read more!